Booming Games is a software developer providing proprietary games to the online gambling industry. Established in 2013, they are part of the Juma Group which includes the Entergaming Platform - a state-of-the-art multichannel solution that grew out of more than a decade's successful experience. The platform supports parallel internet and retail operations and easily integrates 3rd party games into modules around its sports betting core, including Virtual games and VR game integrations. 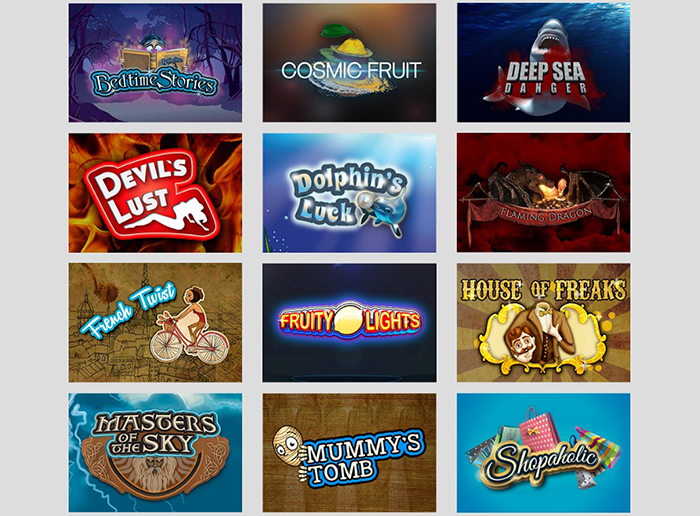 Booming Games features more than 50 slot titles that are all developed in house. The company is headquartered in Isle of Man and offices in London, Athens, Manila, and elsewhere. Common features of their games include HTML5 deployment so they are playable on any device, High Definition graphics, and sophisticated sound effects, the games are all optimized for mobile play, and their open source, versatile API allow them to be integrated into virtually any platform or system. Games are available as native apps for those looking for white label solutions, or individually for launch at any online casino. Adding to over 50 fun and engaging games that keep players coming back for more, Booming Games is constantly releasing new titles in several languages. The games support multiple currencies, including Bitcoin play. The games development and design team of more than fifty people have rolled out as many as five games per month. Two of their most popular titles to date include Galactic Galaxy and Booming 7. The games feature exclusive enhancements unique to Booming Games. Galactic Speedway's Rotator feature is triggered by a spinning galaxy symbol, and the 3x3 Booming 7 surprises with a retro look and feel while offering 2-Way pays on 9 pay lines and scattered 7 symbols that trigger free games. The 10 pay line Booming 7 Deluxe offers 7x multipliers. Most of the games are rendered in 3D light and shadow and many feature animated characters presenting an interesting mix of modern game play with established slot game features. Well recognized symbols, features meld perfectly with player interactivity for an entertaining experience. Upon a closer look, all of their games seem to integrate established concepts such as game behavior with something modern in each one. While some of the features carry over from game to game each is unique and dynamic whether in appearance, behavior, unique bonus features or more subtly in the game maths. Casinos that carry Booming Games include Vegas Crest, mBit Casino, Slots Million and dozens of others. The games load quickly and include an intuitive user interface for bet levels, auto play, and more advanced choices under the Settings Menu. Sounds can be toggled on or off, but sound effect volume cannot be adjusted from within the game. All slots include a gamble game, however it can only be played before, not after a bonus round so you can't double up on a big feature win. While at first glance many of the games may seem to be uninspired cookie cutter versions of unexceptional slots, a closer look or a few minutes of play time is all that is needed to see that Booming Games are anything but ordinary.